Charles Chapman Grafton was born in Boston, April 12, 1830. He attended the Boston Latin School, and later received his LL.B. from the Harvard Law School. He entered the counting-house of Mr. Walker, whose fortune was recently given by his niece to start the Cathedral foundation [5/6] for the Diocese of Massachusetts. Coming under the influence of the Rev. Dr. Croswell and the Rev. 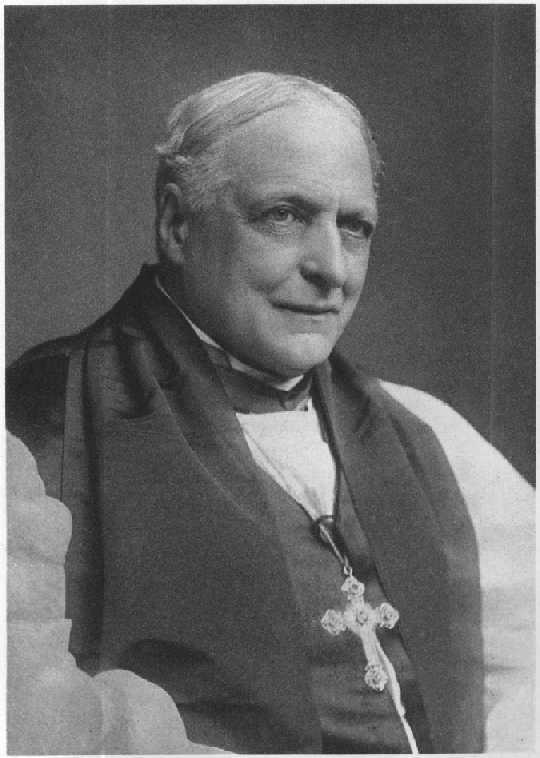 Oliver S. Prescott, he was confirmed. Resisting the allurements of business and social preferment, he became a candidate for Holy Orders under the Bishop of Maryland. He was ordained deacon in 1855 and priest in 1858 by Bishop Whittingham. During the Civil war he was curate at St. Paul's, Baltimore, and was chaplain for a Sisterhood that was undertaken at that time. He refused flattering calls to Washington and Philadelphia, and in 1865 went to Oxford, where he met the unusual group of men that rallied then the Catholic cause of the English Church. Dr. Pusey had won his fight and was in his prime. Canon Liddon was at Oxford, and Fr. Benson, Fr. O'Neil, Fr. Prescott, and the present Lord Halifax were interested in organizing the Society of St. John the Evangelist. Fr. Grafton gave his inheritance as well as himself to the enterprise. During the cholera epidemic in London he assisted in Fr. Lowder's parish, and was one of the leaders in the first great parochial mission held in London, when many parishes joined and 60,000 people are said to have attended the services. Fr. Grafton still belonged to the Diocese of Maryland, and because of that fact he was able to accept an election as rector of the Church of the Advent, Boston, in 1872. The plan was to organize a branch of the order in America, which, after forty years has at last been realized. The Sisters of St. Margaret were brought out from England, and in 1882 the [6/7] Sisterhood of the Holy Nativity was founded for parochial mission work. In the autumn of 1888 Fr. Grafton was elected Bishop of Fond du Lac, and on St. Mark's Day, 1889, he was consecrated in the Cathedral at Fond du Lac. In 1868 Bishop Kemper referred to the plans for organizing the Diocese of Fond du Lac in the following words: "The example of zeal and true Christian faith would be so beneficial, and so encouraging to the whole of the Reformed Catholic Church, throughout the world, that I hereby pledge my cordial support." The words now seem to have been prophetic. In that spirit Bishop Grafton undertook his episcopate, and for twenty-three years, in single hearted zeal and true Christian faith, he labored for the upbuilding of his Diocese. He was in touch with the Catholic Church throughout the world and all acknowledged his truly Catholic devotion and orthodoxy. But his fullest interest and support were always given to each feeble effort in the building up of struggling missions in the Diocese, for which he felt particularly the burden of responsibility. In twenty years the number of the clergy, the communicants and properties of the Diocese had increased two-fold, and yet, as he fully realized, was still insufficient to minister to the nearly one million souls and diverse races that had gathered in his Diocese from every country of Europe and western Asia, with a large remnant of the native Indians. He had given away all his own estate and all that friends had given him, and died a poor man. His obsequies were most impressive. The body was reverently prepared in priestly vestments and white mitre, and a simple plated chalice was placed in his hand. His constant prayer had been that he might be restored to the Altar, now so fully realized. Six priests led by Bishop, Weller acted as pall bearers and walked on either side of the hearse the body to the Cathedral, where it lay in state with a watch of clergy from Monday noon until Tuesday morning. Six lighted tapers surrounded the casket, and litanies and offices for the dead were recited continually, and multitudes passed by to pay their last token of respect to one whom they had learned to love. There was no distinction of creed or color. At ten o'clock Tuesday morning the casket was closed. The procession for the service formed in the Cathedral garth: the Business Men's Association, the Twilight Club, the Members of the Bar, the Mayor and Council, the Lay members of Grafton Hall, the Lay officers of the Diocese and Cathedral, the choir, the visiting clergy, the clergy of the Diocese, the Bishops, in cope and mitre, and the sacred ministers. The opening sentences were read by the Bishop of Western Michigan, the choir in toned the Psalms, and the lesson was read by Bishop Toll, Bishop Weller sang the Solemn Requiem with deacon and sub-deacon using holy water and incense at the absolution of the dead. Father Huntington, O.H.C., preached a stirring sermon. One could feel a thrill of affirmation pass over the crowded congregation when he declared: [8/9] "You all know that Bishop Grafton would have died rather than deny the Catholic Religion." The Bishop of Milwaukee read the service at the grave. The interment was in the sisters' lot in Rienzi Cemetery at the foot of the stone crucifix. (his remains were later interred inside St. Paul's Cathedral, pictured above).